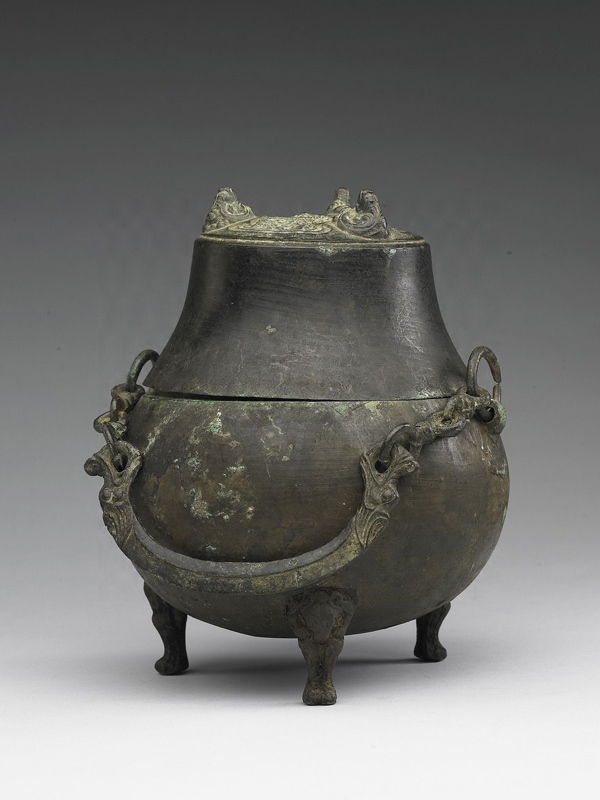 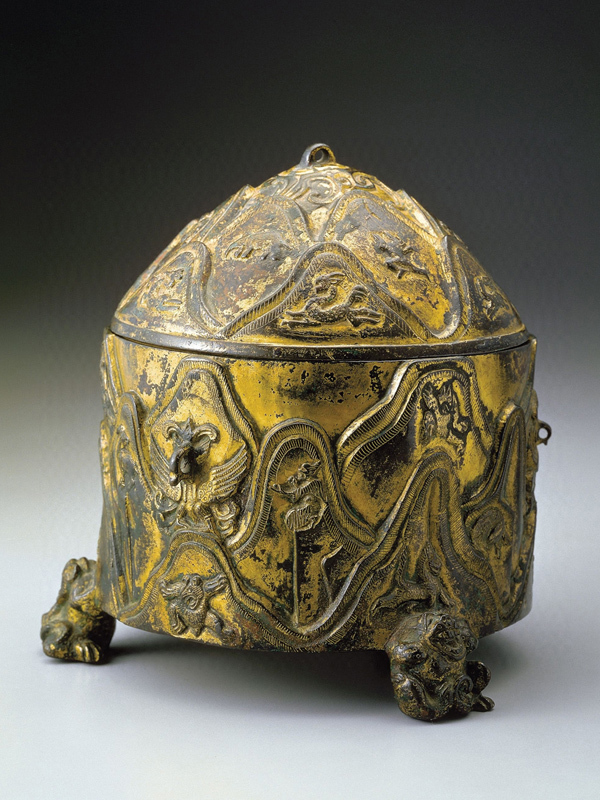 With the advent of great centralized empires Qin and Han, bronzes turned from august ritual vessels to common daily wares. Traditional vessels of rites facing different fates, some such as gui (簋), fu (簠), dui (敦), and dou (豆) gradually ceased to exist while others for example ding (鼎) and hu (壺) became more utilitarian in nature. 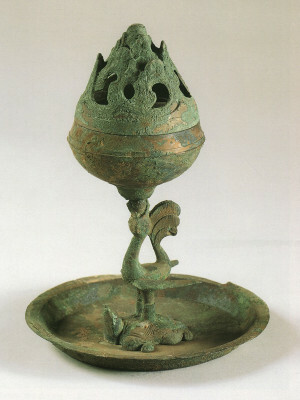 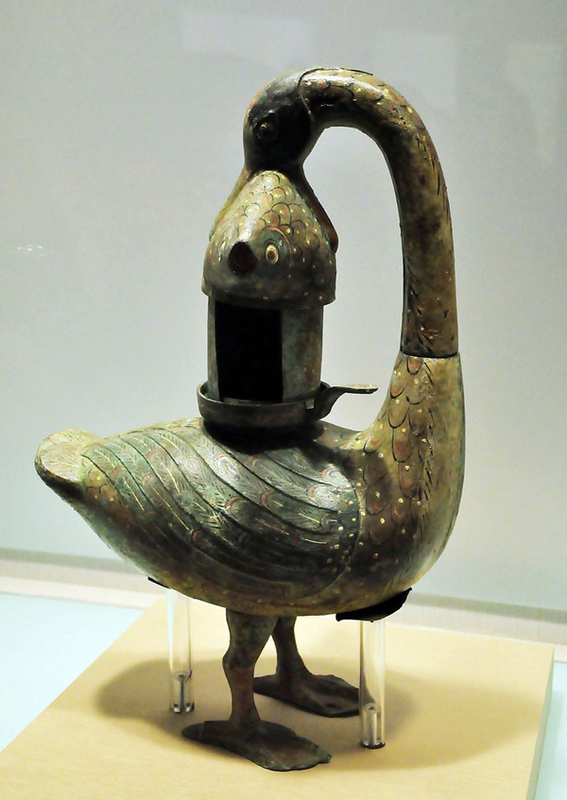 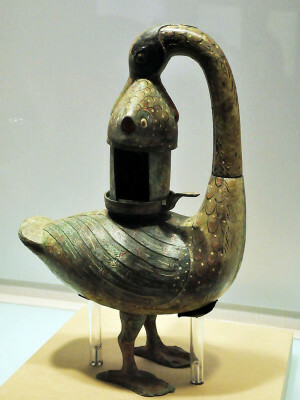 The majority of the most desirable wares during Han dynasty were of new genres, including Boshan mountain-shaped incense burners (博山爐), barrel-shaped zun (筒形樽) for wine, houlou (銗鏤) vessels for wine, and various styles of lamps and lanterns for lighting, all catering to personal enjoyment of a fine, worldly life. 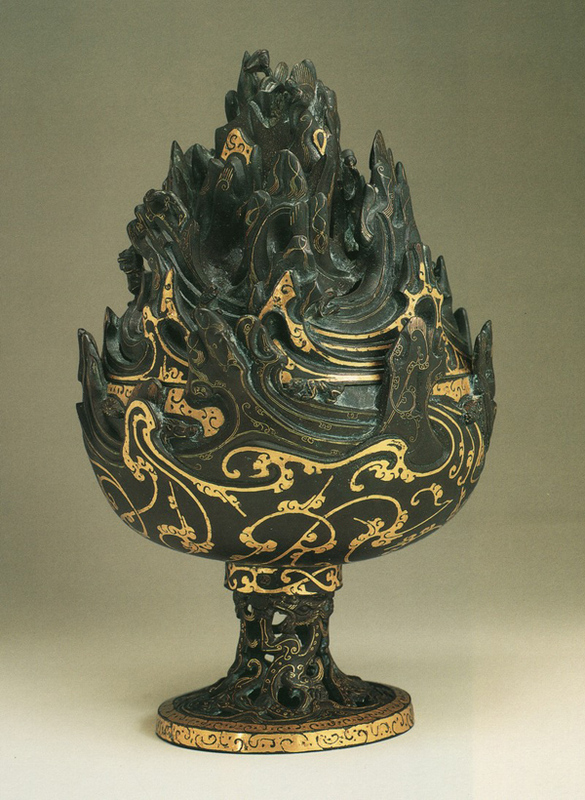 As to ornamentation, the new patterns or designs were either simple or lively, or sometimes teeming with romantic imagination toward immortal worlds. 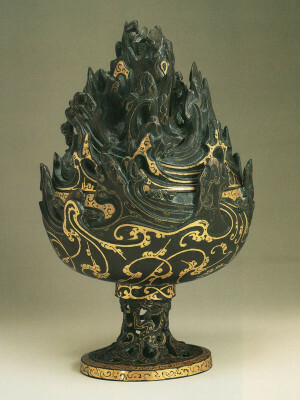 The contents of inscriptions carried more auspicious expressions in addition to being just practical records. 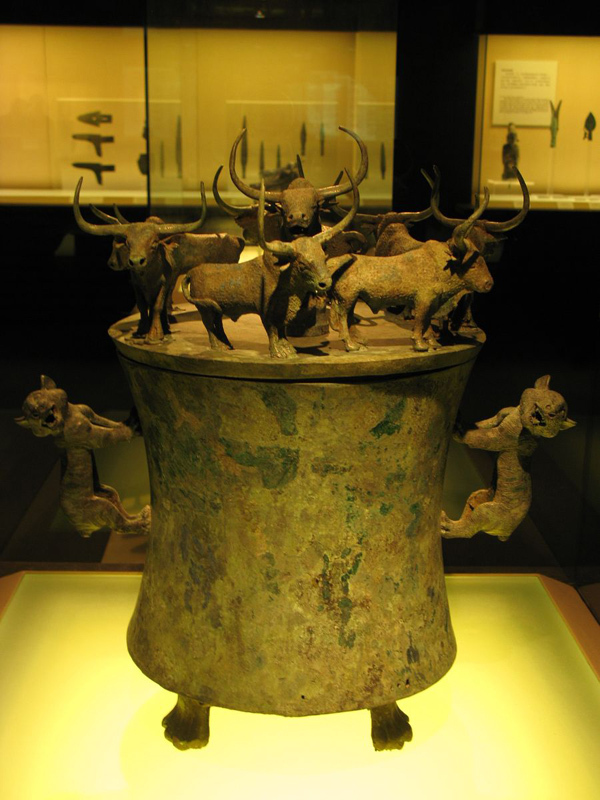 Under the universal rule of the empires, a new, exciting, and magnificent post-bronze age arrived with full momentum.